A recent article in The New York Times points to some interesting statistics regarding the vision of transport commissioner Janette Sadik-Khan and the increase in cycling in New York City. According to John Pucher, a Rutgers University professor who studies bicycle trends around the world, bicycle commuters in New York City make up 0.6 percent of the commuting population. This puts New York City behind Chicago, Washington, D.C., San Francisco and Portland. Although New York City’s bicycling culture has doubled in the last two decades, automobile drivers still dramatically outnumber cyclists. 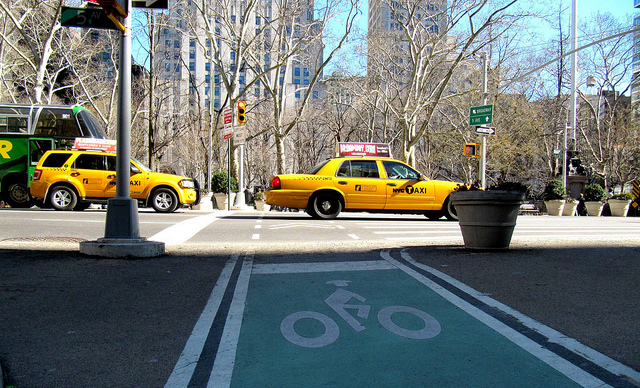 According to figures from the Department of Transportation, about 15,500 cyclists daily enter Manhattan’s central business district, which stands small in comparison to 762,000 cars, the article reports. But Bruni confirms that bicycle ridership has definitely grown in New York City, especially since a decade earlier, when only 4,700 cyclists entered Manhattan’s central business district.